Ryebuck Media’s products catalogue is displayed below. Scroll the page or use the quick menu below to view the products listed here. Click the PDF link to download our catalogue in PDF format. To order products from us simply complete the online order form and submit it to us. Please note that payment transactions will not take place online. The team at Ryebuck Media will contact you to arrange payment via your selected method. Please do not post credit card details anywhere on this website. 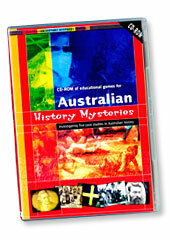 This interactive CD-ROM with accompanying activity sheets helps younger students to understand the significance of ANZAC Day, learn about Australia’s military history in empathetic ways and develop the following important skills – Identification of shapes and colours and development of mapping, fine-motor, visual-tracking, literary, hand-eye co-ordination, problem solving, sequencing and measuring skills. Suitcase Treasure – Researching and matching objects to shapes. 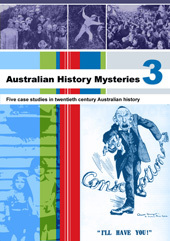 • A 30 minute video or DVD, Australian History Mysteries, with short introductory sections on each of five case studies. What was the life of a female convict in Tasmania really like? The Eureka Rebellion — could you have stopped it from happening? Was Ned Kelly a hero or a villain? A 30-minute DVD with short segments introducing each of five case studies, and designed to ‘fire’ students’ imagination. Students are taken to the sites to explore current and historical images and are introduced to the ‘mystery’ that they will investigate in each case study. What was the life of a convict in a Female Factory really like? The Eureka Rebellion, could you have stopped it from happening? Was Ned Kelly a hero or a villain? Putting him on trial. Relive the excitement of the past! The CD-ROM contains five interactive modules / games that have been designed to either introduce or follow up on each of the mysteries. The modules may be used by any age group but are especially suitable for younger students and those who respond best to different and more interactive learning styles. Gold Rush – can you make it to the diggings? Key Moments – can you make key decisions in Australian history? Kelly Country – can you escape the siege at Glenrowan? 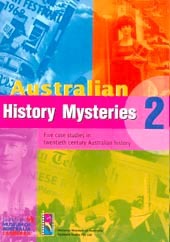 Australian History Mysteries 2 follows on from the success of the first series, on nineteenth century Australian history. A 45-minute DVD with short segments introducing each of five case studies, and designed to ‘fire’ students’ imagination. Students are taken to the sites to explore current and historical images and are introduced to the ‘mystery’ that they will investigate in each case study. 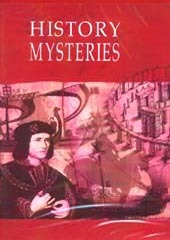 Are you a good history mysteries detective? The CD-ROM contains five interactive modules / games that have been designed to either introduce or follow up on each of the mysteries. The modules may be used by any age group but are especially suitable for those students who respond best to different and more interactive learning styles. Darwin 1942 – can you plan its defence? Who killed Juanita Nielsen? Can you solve this cold case? 1967 Aboriginal Powers Referendum – do we put the referendum in the ‘Human Rights Hall of Fame’? Mysteries of Maralinga – interact with a timeline of the Cold War to find out how international events impacted upon Australia. 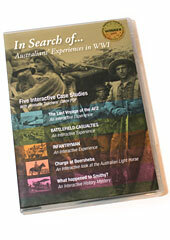 National Museum of Australia and Ryebuck Media have produced a 50 minute DVD and Teacher’s Resource Book comprising 100 pages. 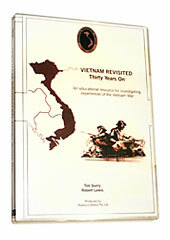 The DVD contains a short overview of each of the five case studies specifically introducing the context of each history mystery. Teachers can chose which mystery they want their class to explore and then play a 10 minute segment which provides a ‘virtual visit’ to places where evidence can be found to help students understand and then solve the respective mystery. The Teacher’s Resource Book contains print case studies with a variety of reproducible information, evidence and activities for use in the classroom. See www.ryebuck.com.au/ahm3/ for more information. 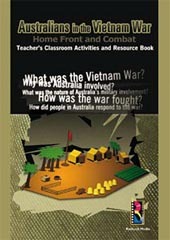 This interactive CD-Rom and Teacher’s Resource Book helps the students to explore these aspects of Australia’s Vietnam War Experience. Teachers as a print-based activity. There are photocopiable student worksheets and supplementary primary resources. See www.ryebuck.com.au/avw/ for more information. 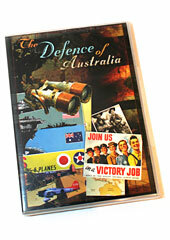 This multimedia investigative resource kit focuses on Australia’s greatest year of crisis — 1942. Students can interact with historic sources, plan battle strategies, take a ‘virtual tour’ of the Kokoda Track, explore the home front and present their findings in slideshow and newspaper formats from the templates built into the CD-ROM. Changes to life on the home front. About 85% of bullying behaviour incidents at school occur in the presence of other students, who influence what happens. The focus of this resource is therefore not on the aggressor or on the targets, but is directed at this big majority — the bystanders. Don’t Be A Bully Bystander is a practical classroom resource to help schools address the problem of bullying behaviour in their students’ lives and communities. 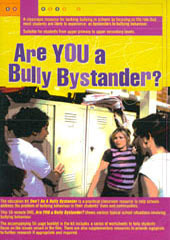 The resource provides a 10-minute DVD showing typical school situations involving bullying behaviour, and students responding to the ideas and issues that are raised in these situations. The accompanying 56-page booklet includes a series of photocopiable worksheets that help students focus on the issues that are raised in the film, and there are supplementary resources to provide signposts to further research if appropriate. See www.ryebuck.com.au/bullybystander/ for more information. 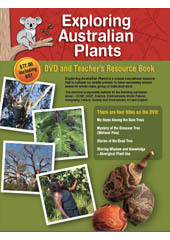 Exploring Australian Plants is a unique educational resource that is suitable for middle primary to lower secondary schools levels for whole class, group or individual work. The Teacher’s Guide and Activity Sheets provide some 72 pages of pre-video visit, video-visit and post-video visit activities. There are also Fact Sheets, suggestions for use and a clear outline of anticipated learning outcomes. See www.ryebuck.com.au/australian-plants/ for more information. A CD-ROM interactive that models the scaffolding processes involved in completing a research project. It helps develop in students the skills of research, evidence analysis, problem solving and love of local history. 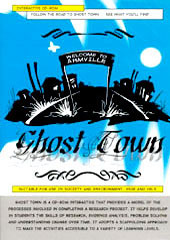 Ghost Town is an exciting interactive that may be used as an individual, group or whole class activity. Students explore five scenes in a ghost town and try to work out why this once thriving town died. Was it the war, drought, flood, an explosion or disease? What does the evidence tell us? The CD-ROM and accompanying worksheets may be used as an introduction to studying history or any other learning activity requiring an understanding of the skills of research, hypothesising and problem solving. 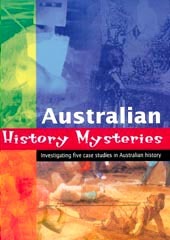 It is also a perfect introduction to the Medieval History Mysteries and the Australian History Mysteries kits advertised in this website. Kids love trying to solve mysteries and this little program is guaranteed to help them do this in fun and rewarding ways that help develop inquiry-learning skills. This multimedia kit (25 minute DVD and 96 page print booklet of reproducible classroom evidence sheets) encourages students to use the skills of inquiry to solve some historical mysteries from Ancient and Mediaeval history. In each case the student is ‘taken’ to the site of the mystery (via video), and the mystery is revealed. Students then have to use the evidence individually or in groups to come up with their solutions and answers. What is the meaning of Stonehenge? What is the message of the Bayeux Tapestry? Can you save the life of Joan of Arc? Did Richard III murder the little princes in the Tower? What happened to the plague town of Eyam? The In Search of … series comprises five inquiry based booklets and a CD-ROM of exciting interactive ‘hands-on’ learning objects! The kit enables students to explore in very different and exciting ways five aspects of the Australian experience of World War I: Infantry, Nursing, Air Force, Navy and Light Horse. The resources may be purchased as a kit or individual units. Infantryman We explore the life of one of Australia’s greatest soldiers.The infantryman’s experience. Can you make decisions that will help you survive the war? The Last Voyage of the AE2 We use evidence to find out what happened aboard this submarine on its last and crucial mission at Gallipoli. What happened when the Australian submarine AE2 entered the Dardanelles Strait on 25 April 1915? You are the captain — will you succeed in your mission? Battlefield Casualties What were the experiences of nurses during the war? A detailed case study using evidence. The wounded need you — can you make your way successfully through the stages of medical care on the Western Front? Charge at Beersheba Bolton is the focus of the film The Lighthorsemen, and his story reveals the experiences of the Australians in Palestine. Equip a light horseman for action at the Charge at Beersheba, and then decide if one of the most famous Australian photographs from the war is real or a fake. What happened to Smithy? We explore the life of Smithy first as a soldier, and then as an airman during the war. Be a detective, and try to solve the mystery of the Australian leg. 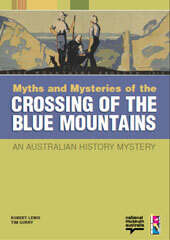 Myths and Mysteries of the Crossing of the Blue Mountains in 1813 is another fascinating history mystery soon to be added to the Australian History Mysteries subscription website – www.australianhistorymysteries.info. It is a multi-media education resource for middle secondary students and of particular relevance for Australian Curriculum: History Year 9. 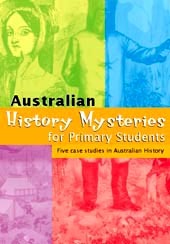 It is designed to fulfil the requirement that students explore the connection between the global forces of the Industrial Revolution and mass migration on the origins and early development of colonial Australia. Students ‘visit’ the Blue Mountains and journey with Blaxland, Lawson and Wentworth and their party through a 20-minute virtual visit film. They see physical and documentary evidence about the crossing, and discover that this evidence raises many questions, myths and mysteries that need to be explored further. Who? When? Where? Why? How? How has the story been represented? What are some of the impacts and consequences? How do we know what we know today? There is also an interactive decision-maker module designed to challenge students to see if they would be ‘good explorers’. Through the evidence in the resources and the inquiry-based activities, students understand how significant Australia’s place was in both the Industrial Revolution and mass migration, and how these forces in turn shaped the new society. ‘You discover a ghost town. 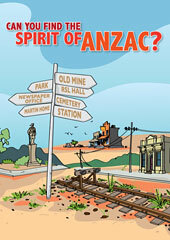 Legend has it the spirit of ANZAC resides here and your challenge is to find it. This interactive decision-maker is an ideal learning tool for a small group of students or a whole class activity using an electronic white board. It helps students to learn some of the skills of the historian – research, evidence analysis, interpretation, problem-solving and making conclusions. And it does this is a fun, interactive and inclusive way that is especially suitable for students who are visual learners. An ice-breaker activity with a new group of students. Interact with the characters in this learning module as they explore the town’s cemetery, old mine, newspaper office, burnt-out house, abandoned railway station, RSL Hall and the town park. But watch out for hidden dangers! There are also some worksheets included which can be used as simple extension activities. 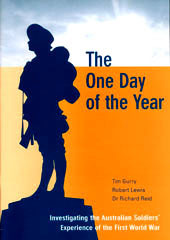 The One Day of the Year is a multi-media kit which brings together some outstanding primary source material on the Australian experience of the Great War. This kit is designed to help students become more aware of the history around them, and to make some sense of what happened in World War 1, why it happened, and what it tells us about the people who were involved. The kit consists of a 30 minute DVD, Somewhere in France, together with a video worksheet, and 31 topic worksheets for student use. Australia has a water shortage — correct? Well no — there is actually plenty of water in Australia. The problem is the location of most of the people in Australia in relation to the available water, and the way we use it. We need to have a sustainable water supply and use system, and this means innovative changes are needed. We can’t go on as we are. We must change. act in a way that will promote sustainability. This may sound overwhelming — but it need not be. 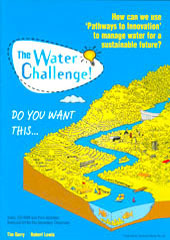 This resource offers a specially created DVD scenario that students view and discuss, a ‘Jo Coolio’ CD-ROM interactive decision maker that sets up the stages of inquiry and the pathways to innovation in fun and interactive ways, and a set of classroom-ready photocopiable resources to guide them through an investigation of the issues, and ways of developing practical innovative solutions. 30 minute DVDHistoric footage, and on-the-spot film of 30 veterans to key sites during a tour to commemorate the 30th anniversary of the Battle of Long Tan. 24 page Teachers’ GuideA detailed set of curriculum uses and suggestions for making the most out of the materials, including the DVD. Why was Australia involved in the war? What does the Terendak Military Cemetery tell us about the Vietnam War? What was it like to be a soldier in Vietnam? What happened at the Battle of Long Tan? Did the Vietnam War tear Australian society apart? How have communities remembered and commemorated the Vietnam War? It is a multimedia education resource for lower secondary students. It is designed to fulfil the Australian Curriculum History requirement that students explore the nature of the sources for ancient Australia and what they reveal about Australia’s past in the ancient period, using the discovery of Mungo Lady and then Mungo Man as a case study. Students ‘visit’ the World Heritage Willandra Lakes site, of which Lake Mungo is part, through a 25-minute virtual visit film. They see both the environment, and the archaeological evidence that exists about life in that place in ancient times. 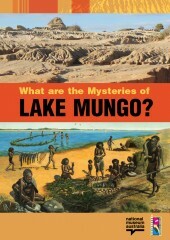 They realise that the Lake Mungo of today is not the same as Lake Mungo in the past. And they are challenged to solve some of the mysteries of that past! They now use a variety of photocopiable worksheets to use evidence to work out their own answers to a series of questions or mysteries about what Lake Mungo was like 40 000 years ago, how people lived there in the past, how it became what it is today, and how we can we reach these conclusions. There is also an interactive decision-maker module designed to get students to tackle some of the management issues facing the park today. Through the evidence in the resources and the inquiry-based activities students gain knowledge and understanding about the nature of ancient Australia, and develop the skills needed for them to explore aspects of ancient Aboriginal life.